Seasoned professional with deep and profound experience. Designing and implementing global technology initiatives. Proven ability to build and work with global teams through massive, complex projects. Rare mix of business and technology-oriented skills and experience used to drive technology direction and implementation plans. Attention to detail and "unforeseen consequences", ability to identify failure modes, identify the means of failure detection, isolation and compensation. Recognized Industry expert & evangelist on Distributed Computing and Data Management. Passionate speaker with a comprehensive technical background in enterprise systems and infrastructure technologies. Ability to quickly decipher and explain the business value of IT project and explain it to the end users. Based on my broad & extensive experience, I can provide digital commerce industry and solution expertise according to to client business requirements. I'm proficient with Oracle Apps standard architecture lifecycles and frameworks as well as the companies programmes of lifecycle-related framework. Oracle Coherence and Hadoop expert. Large volume of data in cache, high concurrent users, large data in edit & concurrent edit mode, managing concurrency, coherency, etc. Persistence to address durability and recoverability. Handling coherence clusters. Cache Topology Selection, Distibuted design for parallel computing. Custom tasks & syncronizing frameworks. •	Selecting the prospective BA(s), who will be the product owners, for providing the team with user stories on application development. •	Developing various proof-of-concept pieces for various complex cases. •	Working with team leads to estalblishing the projects build system using Gradle and setting an examples to the team. •	Hand holding the team on coding and best practices. •	Conducting internal feedback session for the team and business. Work with JavaEE technology stack such as: EJB, MDB, CDI, JSF, JPA, JMS, and so on. • Data models and state diagrams performance access & tuning for relational databases (Oracle and Postgress). Conducted multitudes of technical strategy sessions and projects, supporting needs of $60 billion company. Designed and personally created various parts of Omega project, it's a set of Oracle E-Business suite based apps, a central backend processing unit of company's trading and accounting infrastructure. Dell has one of largest and most complex Oracle Apps instances in the world. Authored multiple Proof-Of-Concept technological sessions to access the business value of new & emerging technologies. Large-Scale search engine + fast data storage for orders, invoices, products and customer data, more than 150M records searched & indexed & updated in near-real time. Thousands simultaneous search & data requests from end users & applications. Designed the architecture & engine for streamed data extraction & data conversion & transaction-safe storage & retrieval of the aforementioned data. All stages from Proof-Of-Concept to Production ready solution. Search engine is based on Apache Solr + custom-made request handlers, Hadoop + custom transactional engine, Oracle NoSQL cluster. Scalable cache &distrubuted computing solution based Oracle Coherence In-Memory Data Grid, able to scale up/down without reconfiguration or downtime under high load. Proposed & led the development & implementation of the aforementioned architecture, including data extraction engine, cache infrastructure, user and admin interfaces, connectors for various business application & data flow protocols. Development and customization of various AR/OM components. Responsibility: Worked on automated order/products data processing. Proposed & implemented performance & functionality improvements over various stages of Dell custom order workflow code at OM and AR modules. 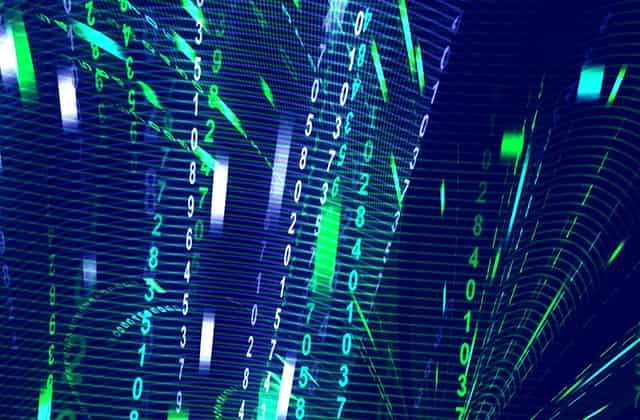 Implementation of the streaming import data daemon and set of tools in a form of FSM (finite state machine) for high density datastreams at oracle Apps OM product interface. Project first was implemented & deployed as a compiled binary, then Java version has been made. Responsibility: Architect & lead developer, the project was implemented to run under Solaris OS using C++, then Java daemon under Linux. As a transport layer IBM MQSeries client was used. Oracle RAC cluster embedded XML conversion framework, working on Oracle JVM, scalable from single instance up to multiple nodes. Unique patent-pending architecture had allowed great usability of the app and saved Dell spending on third party vendor soft and appliances, while providing stable and standard-driven infrastructure.Created & led the development of Proof-of-Concept, conversion engine, stress testing framework, user interfaces and supplemental infrastructure to support legacy MQ Series-based infrastructure. Customer Facing Output, based first on XSL-FO standards, then on Oracle BI Publisher. Modeled and analyzed existing tools, directly communicated with business analysts on the dataflows and business processes, proposed the architecture matching the scale & day-to-day needs of large invoices processing and printing infrastructure. Directly communicated the proposed architecture using self-made Proof-of-Concept apps using business terminology appropriate to the context and the business partners. Proposed multitude enhancements for the delivery and notifications methods to the end users. Created web forms, application engine and PL/SQL packages, based on Apache mod_owa and Oracle 8.1.3 database, the application and set of supplemental tools were used on mass scale as an information web site to do the search current state of cargo data for railway trains and do the complex profitability calculations of the various logistic cargo flows on weekly and daily basic. Large-Scale search engine + fast data storage for orders, invoices, products and customer data, more than 150M records searched & indexed & updated in near-real time. Thousands simultaneous search & data requests from end users & applications. Designed the architecture & engine for streamed data extraction & data conversion & transaction-safe storage & retrieval of the aforementioned data. All stages from Proof-Of-Concept to Production ready solution. 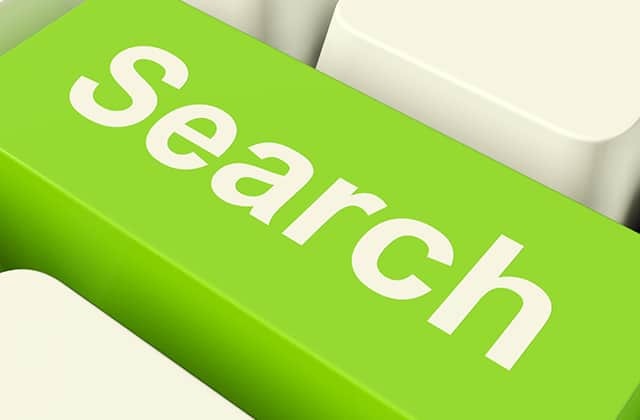 Search engine is based on Apache Solr + custom-made request handlers, Hadoop + custom transactional engine, Oracle NoSQL cluster for key-value storage. Data Grid and distributed data computing platform. Scalable cache solution based on Oracle Coherence In-Memory Data Grid, able to scale up/down without reconfiguration or downtime under high load. Proposed & led the development & implementation of the aforementioned architecture, including data extraction engine, cache infrastructure, user and admin interfaces, connectors for various business application & data flow protocols. Andrey played and continues to play a key role within Dell IT – he’s been involved in many of the most successful solutions delivered by IT, always at the leading edge from technology perspective, solving the problems very few people have managed to solve before. Everything he produces is marked with excellence and his trademark ability to look through any solution end to end, ensuring every possible angle, from performance and scalability, exception management, stability, security, availability, supportability and many others is covered and fully functional from the first implementation. While frequently leading the work on innovative technical solutions, which is where he is at his best and what he prefers to be doing, he is also great in problem solving and is always helpful to other team members. I worked with Andrey for more than 10 years on different initiatives. Andrey played a key role in DELL IT contributing with his innovation spirit and his strong technical knowledge and experience to the success of major programs. His ability to propose simple solution to solve extremely complex technological problem was a crucial factor for his success and for the success of the projects. He is comfortable in leading his team to facilitate the implementation of the solution and he is also comfortable in working hands-on on the solution when he sees that the activities are not progressing as expected. He is always very supportive and helpful to other team members. His curiosity for different technologies allow him to learn quickly and to adapt quickly to different environments and initiatives. I recommend Andrey as Technical Architect for mission critical roles related to any IT technological projects. All of the usual boxes one would expect from a Solution Architect Andrey ticks. What sets him apart however is his ability to form trusted relationships with business partners, translate what are sometimes incoherent requirements into clear direction for the develoment teams and to lead business partners to consensus in design or scope trade-off situations. I look forward to working with Andrey again in future. 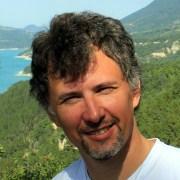 Andrey is an exceptionally knowledgeable and competent technical architect on most - if not all - Java technologies. He always ensures to design and implement extremely scalable, robust, testable, performant and secure applications. Andrey always goes beyond usual system design: he tries to look for better approaches and new solutions to tackle both simple and complex requirements. As an example, he has been able to build on his own an enterprise caching solution based on Oracle Coherence that runs 24h/7d without any intervention: when things go really bad on his solution due to external problems (network, servers, user mistakes) , it can simply be restarted and the cache rebuild on his own. Moreover, Andrey can build solutions very quickly. I haven't seen anybody who has been able to challenge him to create a high quality solution at even the double of the time he needs. Finally, his knowledge of Oracle Applications is definitively a big plus, allowing him to understand the challenges of standard ERPs implementations with extensions as well as custom developed solutions. Looking for a strong technical expert? Andrey is definitively the person to accept your technical challenges.